You might say he was born to be a politician. Dingell followed in his father, John Sr.’s, sizeable footsteps to Capitol Hill. 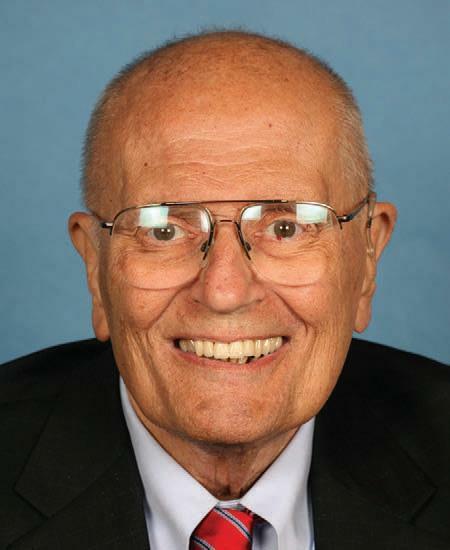 The elder Dingell served in Congress for 22 years until such time he passed away. John Jr. was then elected in 1955. That is Washtenaw County Commissioner Andy LaBarre. He worked for Dingell in a variety of capacities for a period of five years. LaBarre notes that, during Dingell’s 59-year legislative career, he was key in getting several landmark bills passed into law and continued to push for others for which he had deep conviction. And, you might not be hearing this story without John Dingell. He was a key supporter of the Public Broadcasting Act of 1967 that allowed for creation of PBS and NPR. Back in 2012, Dingell addressed an Ann Arbor audience in his 12th Congressional district and expressed great pride in that accomplishment. How exactly does a politician keep winning elections for nearly six decades? Jason Morgan is another former Dingell staffer that now serves as chair of the Washtenaw County Board of Commissioners. He recalls a long car ride home with the congressman after yet another district event that afforded time for the answer. No one ever called Dingell perfect, though. The social liberal was often taken to task for his position on issues considered more Republican. As an avid hunter and sportsman, he was fond of guns and bucked the Democratic party line on gun control. That caused some within his own party to call him a hypocrite. Eastern Michigan University Political Science Professor Ed Sidlow says Dingell always stood his ground and found a way to make it work. Leigh Greden once served as Dingell’s Chief of Staff. He says when Dingell did make a mistake, he owned up to it. To those that knew him, Dingell could be counted on to hold himself personally accountable and to offer loyalty to his constituency, his friends and most especially to his family. After a failed first marriage, John met a woman named Debbie Insley. You know her as John’s successor in Congress. After nearly four decades together, Debbie Dingell was with her husband when he passed away on Thursday. Jason Morgan witnessed that relationship, firsthand. Andy LaBarre says it really is an American love story. And now, Mrs. Dingell is tasked with carrying on the work they have created together. All in all, a Dingell has occupied a seat in the U.S. House for over 80-years, consecutively. While she makes her own mark, Professor Sidlow says John’s legacy is secure. And, how did John Dingell view the nature of his personal responsibilities as a public servant? John Dingell: Gone at 92. With nearly 60 years in Congress, John Dingell's impact on people and places across Michigan and across the country was significant and far reaching. 89.1 WEMU's Lisa Barry spoke with Dingell's final chief of staff Leigh Greden, who is currently chief of staff in the president's office at Eastern Michigan University. John Dingell has touched many lives in many different ways. 89.1 WEMU's Lisa Barry talked with current Washtenaw County commissioner Jason Morgan, who used to work for the Dingells. Morgan shares his personal reflections on John and Debbie Dingell and how John's commitment to "work for the people" influenced his own choice to run for office.